There are certain technological developments that spawn significant sociological impacts. The smartphone seems to have spawned a number of cultural changes that will affect us and future generations: always-on connectivity, social sharing on a global scale and, of course, the Selfie (aka the self-photograph). I'm sad to say that when we arrived at the hiking trail this weekend, the first thing the Dude wanted us to do was "take a selfie". Hearing that word come out of his mouth for the first time was jarring. Thankfully he turned his camera toward the scenery for the rest of the hike but the moment struck me nonetheless. He's a tween and this is normal to him. When I was a tween, we'd look for someone who looked trustworthy to hold the family camera and take our picture for us. Do people even do that anymore? Well if iLuv has anything to say about it, no they won't. 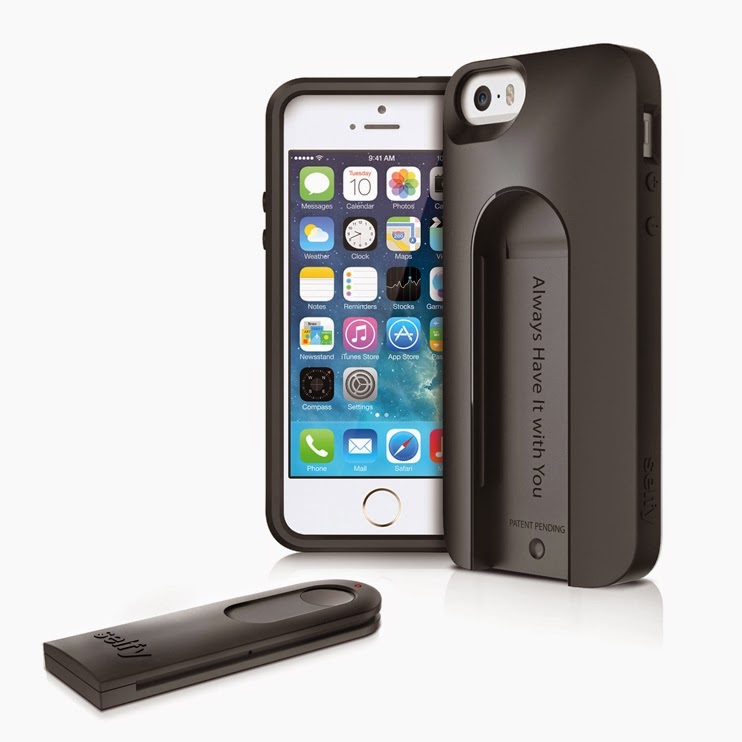 ILuv has launched an iPhone case that comes with a remote control, which sits nicely in a special slot on the back. They call it The Selfy. Yep,a remote so you can prep your phone, stand back, and take that epic self-photo. Sigh. I guess it was only a matter of time. There is a fantastically detailed review over on Tech Dissected which covers the aesthetics. The selfie remote worlds really well and the case overall is pretty good. If you are a fan of self-pics, then this could definitely make your life a little easier since no contortions are required to get a good shot. Anyway, if you are an iThing user and are just dying to make narcissism selfies that much easier, this just be your next phone case. Check out iLuv for the product details.